The King Institute of Preventive Medicine (KIPM) in Guindy was formally opened by Governor Lord Ampthill in November 1905. KIPM was already functioning as a vaccine depot supplying smallpox vaccine lymph to people in the Madras Presidency, supervised by Lt. Col. Walter Gaven King from the 1890s. By 1905, he had grown it into a large provincial facility, housing a well-equipped bacteriological laboratory and a public health laboratory in addition to the original vaccine depot. It was named after King to celebrate his contribution in making it an institute of excellence. The King Institute of Preventive Medicine. The vaccine lymph section manufactured more than two million doses annually for supply within the Madras Presidency through the Civil Department. Some quantities were also supplied to the British and French armies within India and to Ceylon. During World War I, large quantities of lymph were sent to the allied army personnel in the East African theatre. The microbiological section manufactured both curative and prophylactic bacterial vaccines to meet the requirements of hospitals in Madras Presidency. In 1919, at the behest of the British Government, KIPM manufactured the anti-influenza vaccine on a large scale for the first time in India, meeting the civil and military needs in the Presidency. Similar efforts were also made to mass-produce vaccines to combat outbreaks of cholera, typhoid and paratyphoid, and issue them to the general public at a nominal cost. Given below are some notes below on the pioneers of KIPM. Walter Gaven King entered the Indian Medical Service as a surgeon in 1874. He became a Lt. Colonel in 1905 and retired in 1910. 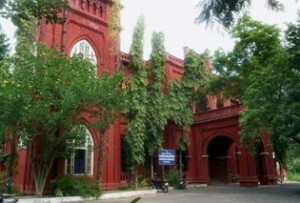 Among the posts he held were: Professor of Physics (Presidency College, Madras) and Hygiene (Madras Medical College), Special Sanitary Officer for Madras City, Central Jail Superintendent of Mandalay, Burma, Superintendent of the Government Lunatic Asylum, Madras, and Sanitary Commissioner of the Madras Presidency in 1894. Later he was a consultant at the Tropical Diseases Clinic and Lecturer in Tropical Hygiene at King’s College, London. He wrote the Cultivation of Animal Vaccine (1891), Plague Inspector’s Manual (1902), Sanitary Rules for the Prevention of Plague in Municipalities (1903), and Simple Sanitary Rules during Cholera Epidemics. KIPM published periodical reports on vaccination in the Madras Presidency for 1902-03, 1903-04 (Government Press, 42 pages each). The vaccine depot, the precusor of the King Institute of Preventive Medicine. Lieutenant Samuel Rickard Christophers will be remembered for his monumental contributions to medical entomology in general and to the science of mosquitoes in particular. Christophers was the first formal director of KIPM, being appointed in 1904. While working at KIPM, he confirmed Charles Donovan’s discovery of the Leishman bodies in the spleen of patients suffering from visceral leishmaniasis (kala azar). Christophers was later posted as the Director of Central Malaria Bureau, where he made impressive contributions to Malariology research and to the knowledge of mosquitoes. While at the London School of Tropical Medicine, after his return to England, a revised edition of the Indian Anophelini was published in 1933 and it remains a milestone in the science of Indian anophelines even today. Captain Walter Scott Patton, while serving on the scientific staff at KIPM, made great strides in medical entomology within the wider context of public health. Because Donovan, Professor of Physiology at the Madras Medical College, was blazing new trails studying kala azar, interest in knowing more about the kala-azar inducing protozoan and the transmitting agents was naturally strong at this time. Patton published a series of papers on this while working at KIPM. For a period, Patton also officiated as the Superintendent of KIPM. In 1913, he published the Textbook of Medical Entomology along with Francis Cragg, who earlier worked at the Central Research Institute, Kasauli (Punjab), and later was an assistant to the Director of KIPM. Patton will be remembered for his monumental book Insects, Ticks, Mites and Venomous Animals of Medical and Veterinary Importance (1929-31), published after his return to UK. Kandadai Venkatasubramanian Venkatraman was the Director of KIPM in 1948-49 and will be remembered for his contributions to the biology, epidemiology and management of cholera. Clinical specimens need to be rapidly transported to the laboratory to prevent growth of any other contaminating microbes. This can be achieved using ‘transport’ media. Such media prevent drying of specimen, maintain the pathogen to commensal ratio, and inhibit growth of any contaminating microbes. Venkatraman, collaborating with C.S. Ramakrishnan (Water Analyst, King Institute), developed the Venkatraman-Ramakrishnan medium which efficiently anchored V. cholerae in the faecal sample obtained from the sick for more than six weeks at room temperature. This medium enabled the transport of the bacteria from outbreaks in remote areas to laboratories to study the epidemiology. 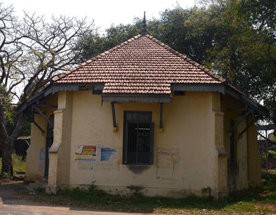 KIPM in Madras, along with the Central Research Institute, Kasauli, and also Pasteur Institute of Southern India, Coonoor, have been serving India’s public health management needs over the last 110 years. Starting as a vaccine depot in a tiny shed, KIPM today provides state-of-the-art medical research involving serology and immunology and manufactures vaccines for use not only within India, but outside as well. 261How anti-national is all this?